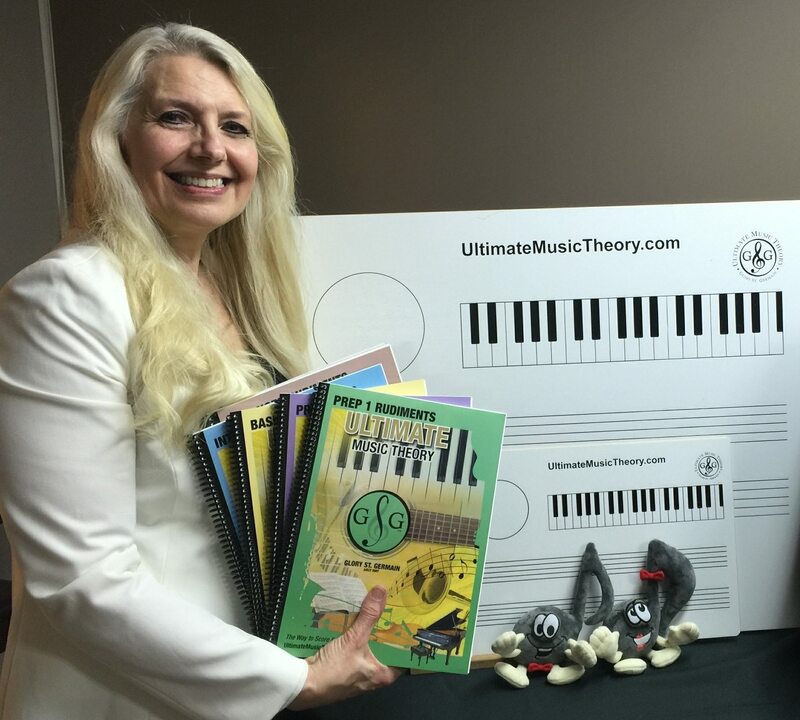 Become An Ultimate Music Theory Certified Teacher - Your Teaching Confidence and Level of Understanding will SOAR! The UMTC Course is divided into three sections: Basic, Intermediate and Advanced Music Theory Sessions. Study at your own tempo and watch each video at your own convenience. What will you learn in the Ultimate Music Theory Certification Course? How to Become Certified - At the end of each section (Basic, Intermediate and Advanced) is a written Teachers’ Exam (don't panic - you'll have learned everything you need to know and more). Once you have completed the Teachers’ Basic Music Theory Exam, simply submit your exam via email for marking and continue with the Intermediate Music Theory sessions followed by the Advanced Music Theory sessions. 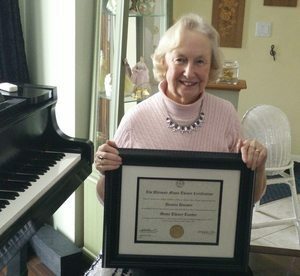 What is the Criteria for the Certification - When all 3 written Ultimate Music Theory Certification Course Teachers’ Exams are completed and marked by UMTC Examiner Shelagh McKibbon-U'Ren (with a pass of 80% - First Class Honours), you will be granted the designation of U.M.T.C. and you will receive your Ultimate Music Theory Certification Teachers' Certificate. Advanced Rudiments, Neuro-Linguistic Programming and Marketing - Priceless! Finally Make Your Teaching Business Profitable - So You Can Have The Freedom To Spend Time With Family And Friends! Give You The Tools To Fill Your Studio With Students - So You Don't Have To Spend Hundreds On Marketing Materials! Fill One UMT Club Class Per Month - So You Can Finally Make More Money Per Hour Than Teaching Privately And Have More Fun Teaching Theory! I want you to have the short cuts, the teaching techniques, the knowledge and more importantly your own success story and I don’t want you to have to do it the hard way. I want you to SHARE your knowledge in the Ultimate Music Theory Certification Course with others in developing knowledgeable successful musicians. I want to help you go beyond your wildest dreams and be on your Way to Score Success faster than you can play “Flight of the Bumblebee”. Music Theory has a long list of built-in benefits for students. The study of music theory can help students gain a deeper understanding of music composition and performance, especially using different instruments. The same principles that govern the study and production of music are the same that govern those of math and science, and can provide a deeper understanding of how the world around us works. Rhythm and pitch can teach fundamental concepts of value, division, time and harmonics. Linguistics, acoustics and the properties of the air around us all have a profound effect on the performance and enjoyment of music. The modern tools of music production also provide a music theory student with equally as valuable opportunities to study electronics, computer science, broadcasting, sound recording and other aspects of production. 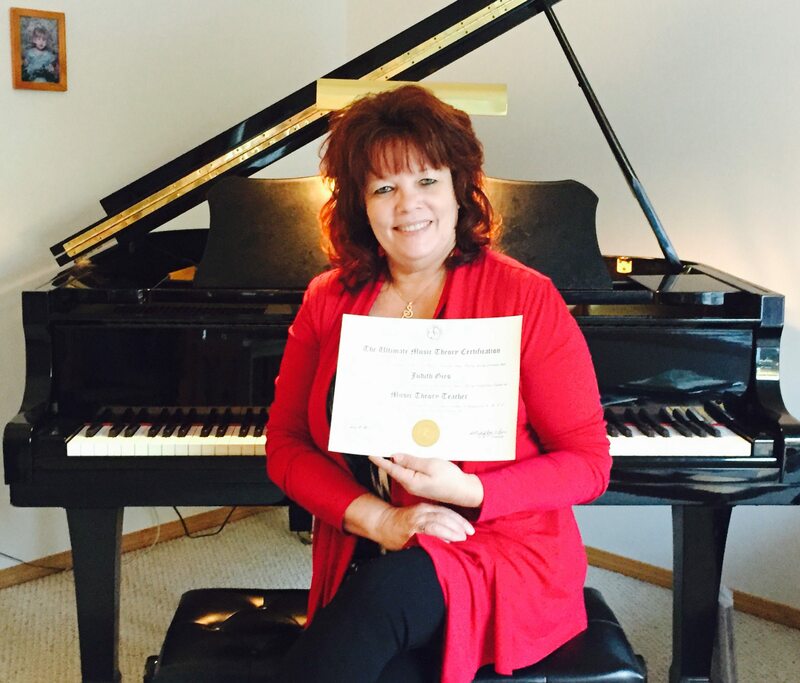 Why Get a Music Theory Certification? Every entertainment market depends on music. From television commercials to sports to video games, musicians, songwriters and performers are called on constantly to provide entertaining, quality tracks for every kind of performance. It is a field with endless and growing opportunities. Studies suggest that students that study music also broaden their ability to learn other subjects such as math and science and typically perform higher on standardized testing. These new learning skills will give students a new appreciation for what most people take for granted. It is a field well worth every student’s time. "I signed up for the Ultimate Music Theory Certification Course to learn how to market theory classes for more income. I was in for a SHOCK. I relearned some theory in a new way, I learned lots of theory I never knew and I finally understood some concepts that have caused me grief for years. This course was ABOVE and BEYOND anything I expected. It took me HIGHER and FURTHER than I expected to go. It's been a long time since I have been challenged this much, with so much fun, encouragement and support. This experience was professional, personable and complete. I felt valued, encouraged and supported in my desire to teach theory in a new way. 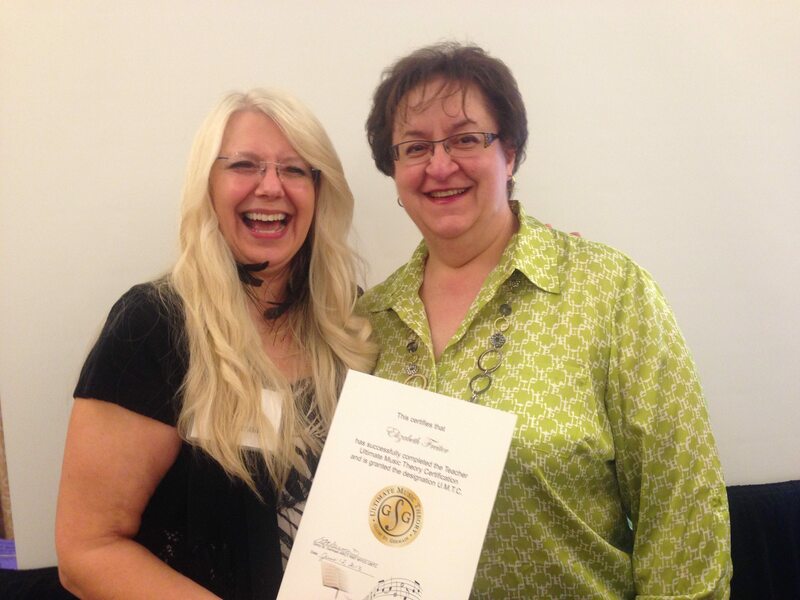 “Thank you Glory and Shelagh for an extremely well thought out program of study. The UMTC Course is a top quality training program and a wealth of resources to ensure that teachers as well as students have a sure way to score success. “The Ultimate Music Theory course has given me a huge boost of confidence as a teacher. I would highly recommend it to all of my fellow music teachers. 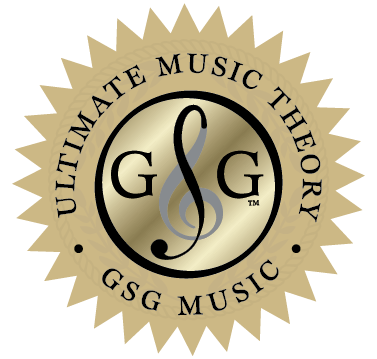 My Ultimate Music Theory Story - Glory St. GermainI wanted to share my story, as the author of the Ultimate Music Theory Series, and creator of the Ultimate Music Theory Certification Course. This is how it all began. I did NOT start out as a confident theory teacher. My teaching of music theory began with me being frustrated, confused, embarrassed and not knowing where to find the answers. Does that sound familiar? Remember your first experience in learning music theory? Well for me, I learned it three times. They say to learn something new, you have to UNLEARN to RELEARN. The first time I learned theory was at the age of 16, and just because I HAD TO, I wanted to play the piano and it was a “co-requisite” so there it was - BORING. The second time I learned theory (fast forward 15 years) was when I found myself taking notes while sitting at the back of the room listening in on my young daughter Sherry's theory class. Small embarrassing confession - I lacked retention of knowledge – how could I have forgotten so much? Perhaps I had found the lessons I learned the first time uninteresting. We only truly learn when we are interested in learning a subject. I observed how the students reacted to the class. The language was “technical” and not related to the music itself, there were no games, no laughing, no listening to music – just this feeling of GET this theory done and NO FUN. Up to this point in my piano teaching studio, I didn’t have the confidence to even teach theory. I sent students to a different teacher for their theory lessons. Yes, ME, can you imagine… me not teaching theory! WHY did I do that? Because I genuinely loved my students enough to want the best possible education for them and I knew that when it came to theory, I couldn’t give it to them. That was the turning point - the beginning of the Ultimate Music Theory Series. I wanted to learn and teach concepts in the simplest ways, to help young students RETAIN information and have fun learning (so they wouldn’t think it was BORING like me). I became frustrated at NOT having any avenue to learn HOW to teach theory (which is a whole lot different than learning theory as a student – I know because I did it three times). So, I began a journey to find a better way to make teaching theory something that any teacher could do – especially me. A realization came to me… Education is about learning and teaching and learning MORE to grow as a teacher. I had started teaching at the age of 16, but it wasn’t until I was in my 40's that I completed my ARCT Degree. I taught Music for Young Children for 20 years. I studied early childhood education. I became a Neuro-Linguistic Practitioner specializing in communication, teaching and rapport building. I struggled, read, taught, collaborated, made lots of mistakes, relearned teaching methods, made more mistakes, and then... finally… I did it. What are the results of my learning and continued professional development? The Ultimate Music Theory Series – a complete set of 6 Workbooks and accompanying Answer Books including Prep 1, Prep 2, Basic, Intermediate, Advanced and Complete Rudiments. A writing partnership with Shelagh McKibbon-U’Ren, followed by the Ultimate Music Theory Exam Series – the ONLY Practice Exams with Answer Books. (Shelagh is also the UMTC Examiner). Development of the Ultimate Music Theory App - the ONLY App with matching Theory Workbooks, along with Music Theory Games, Ultimate Piano Books and More! 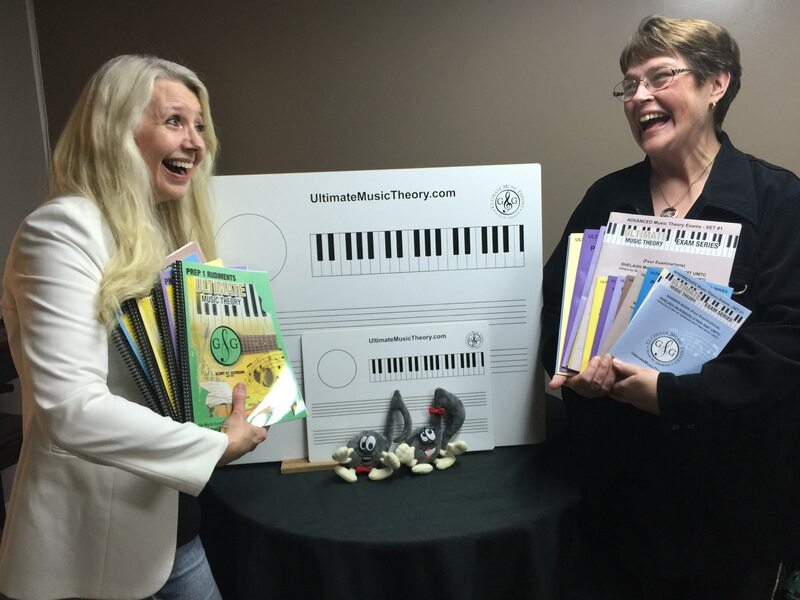 In 2017, Shelagh and I created the UMT Supplemental Series - 10 LEVELS (includes melody writing, analysis and music history - plus Free Video Resources) for: PREP LEVEL, LEVELS 1 - 8 and the All-In-One COMPLETE LEVEL together with our UMT Dream Team: Ruth Douglas, Julianne Warkentin and Joanne Barker. 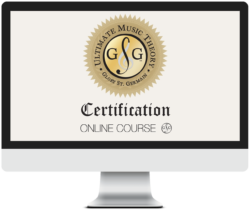 Now you can achieve success in your professional development with the Ultimate Music Theory Certification Course - Get Certified! Teacher Training - Online Courses and Video mini-sessions, webinars, workshops, live teacher training events and the Ultimate Music Theory Certification Course. As a teacher, you KNOW the importance of professional development and continuing with your own learning in order to help and improve the lives of others. Education is a powerhouse and the more we learn the more we realize we need to keep on learning. I know that I simply MUST share this knowledge with you and other teachers, so that YOU don’t have to spend 15 years learning it the hard way. 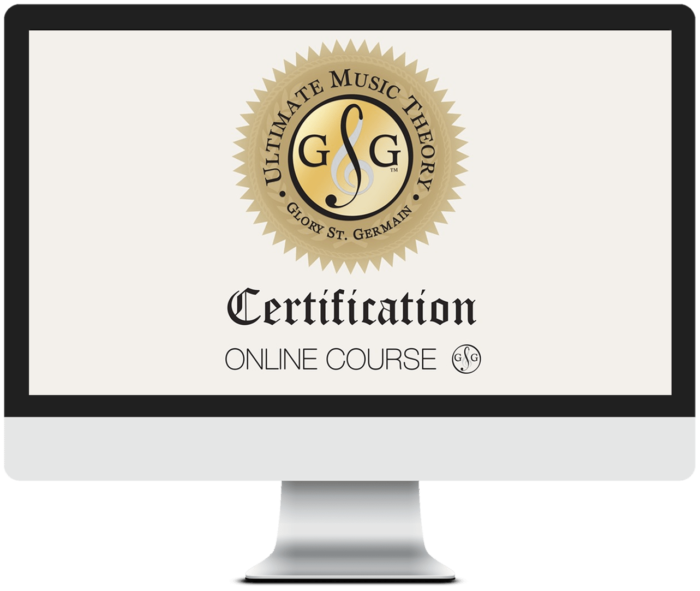 Get Registered and Get Certified with the Ultimate Music Theory Certification Course. 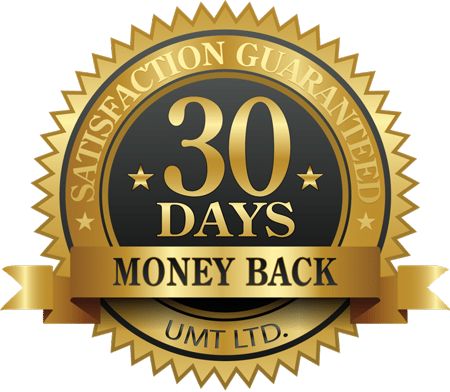 I’m so confident that you will achieve successful pedagogical teaching results using the 17 Teaching Skills, Rapport Building Techniques and Understanding Learning Styles, I’m going to give you a 30 Day, 100% Money Back Guarantee - If you don’t learn anything when taking the Ultimate Music Theory Certification Course, simply contact us and we will refund your course fee.